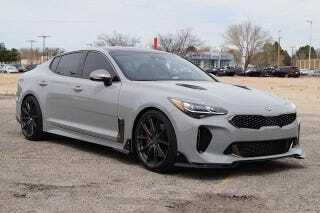 That $68,000 modified Kia Stinger has had its price cut down to $51,300 (original MSRP). I estimate around $8,000 to $12,000 in dealer backed mods going for free. Most of the parts appeared on Kia’s SEMA cars, too. I am saving up for a post-Rahman car but it is seriously tough for me to say no to the things HMG has out, coming soon, and used. For those that didn’t get the news, Fayez Abdul Rahman was made Vice President of Genesis Architecture Development less than a year ago. In my opinion, he is the final piece of the puzzle and I’m waiting for his platform work since the refinement and performance potential will be at the top of the industry.